A recent study by Carnegie Mellon University found that reading lights up brain activity because it asks readers to put ourselves in the shoes of our characters, which, in turn, tends to make us more empathic people. Being able to understand how others may feel is at the core of reading; we learn to understand and ask questions, and this process allows us to learn more about ourselves as people. Would we do the same thing as that character? Would we have acted in that manner? As we read, we wonder…we are curious…and that exercise leads to being a person who can empathize with others. The bottom line: it’s important to read. And it’s important to get our younger kids and students, reading, as well. When I asked my feature writing students why they don’t read outside of class, one answer was because there was difficulty finding anything to read of value. Another answer was that there just isn’t time for it. And yet another was a lack of enjoyment that comes from it. So, how can we, as parents and teachers, foster a love of reading with our children and students and with others in our lives? I have a few suggestions that may help as we move forward to tackle this meaningful endeavor. READ ALONG WITH YOUR CHILD/STUDENT — With younger kids and students, a good idea is to read along with them. This does not necessarily mean you must sit and read the books out loud with them (although with the little ones, this is imperative). It suggests that you read the same book the student is reading, almost as one does in a book club, which would enable you to have discussions about the book with your child. I did this last year with my son; we both read Markus Zusak’s The Book Thief, and we had wonderful discussions about Nazi Germany, the main characters, death as the narrator, and more. This tactic works well and it opens all of us up to reading a variety of stories that we may not otherwise have read. SET AN EXAMPLE — Instead of turning on the television at night, curl up on the sofa with a good book. Fall is coming, and it’s a good time to decompress and read some of those novels or professional guidance books you’ve wanted to read. Demonstrating a love of reading yourself will set a positive example for your children. SELECT A BOOK THAT IS ALSO A MOVIE — One thing children and students love to do is to draw comparisons. Let them read the book, and then promise them that you’ll see the movie or get it OnDemand or from Red Box. Being able to see differences in the work (from book to film) engages students and allows them to think critically and analyze both works. This is also fun to do with book clubs. FIND A GENRE THAT WORKS FOR THEM — What we like to read isn’t always what a child or student might like to read. Take time to visit the library or Barnes & Noble and get suggestions from educated and passionate librarians or employees who are there to help. Be open to recommendations, and be sure to tell the librarian what types of stories usually capture your child’s or student’s attention. START SMALL — I can see it in students’ eyes when a particular piece of work I ask them to read feels overwhelming or daunting. Start small. Novels and stories come in all different lengths. Choose one that your child or student can complete easily and does not have to labor through to finish. They will get a sense of satisfaction from reading the book from cover to cover. PICK A SERIES — Lots of readers today enjoy getting caught up in a series like Harry Potter or Percy Jackson. Mature readers enjoy reading a series, too. Find one that might win over your reader and may keep them wanting to know more about the characters and what their fates may be. GET TO KNOW THE AUTHOR — Many times, readers feel connected when they know a little bit about the person who wrote the story. Do a little homework. Watch the author talk about his or her book on YouTube. Read the author’s biography on his or her website. Feeling something for the author or hearing a personal story about why he or she wrote the book in the first place may pique curiosity. With any luck, any or all of these suggestions might be helpful and can potentially encourage reading. Good readers often become good writers. 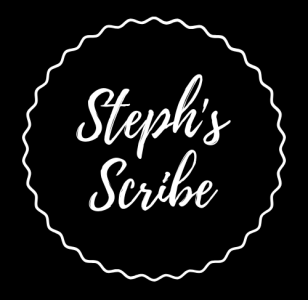 They dissect books and learn technique, style, and story construction. Reading opens our minds to wonderful new worlds and implores us to use our imaginations. Lots of good comes from reading. Let’s continue to encourage our children and students to allow themselves to get swept away into a good book. Once they do, with any luck, there may be no turning back. To see a list of BOOKS I’VE ENJOYED, CLICK HERE.